Got some complaints so decided to review First Class Profits, and guess what? It’s another scam, this time it’s not very elaborate. You have some guy named Mike Taylor talking about how he created a system that makes him on average $3,000 a day. This actor goes by the name of Banjoman15, and is consistently hired to do fake testimonials. By the way, I’m really happy for him because he’s one of the only few honestly making a secondary income from binary options (even if it’s not 3K a day). I have to admit, these guys take extraordinary measures and spend significant amounts of money on programming and advertising, but they don’t take an extra minute to think about doing something that works and having real people give honest testimonials about how they were able to profit (even if it’s small amount) using the advertised software. The point is that it can’t work, because that unlike a regulated exchange or Forex broker that utilizes a spread model, in order for the broker to profit the customer (that would be you) has to lose his money. This was very eloquently said to me by one of my followers and here’s what he had to say. 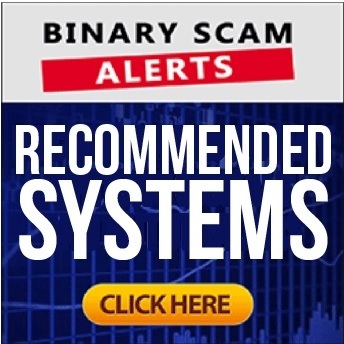 “Hi Patrick, thanks for your thorough review but i’m still not convinced that certain systems like are safe and sound because it has got to do with binary options take Rumelia Options for example. In my opinion binary options are noy real financial instruments such as stocks, commodities, futures, options (real), Forex,etc. A binary option broker is a closed casino system, and it looks like very official because these brokers use the official quotations of the financial markets but are not connected to them in reality. So these brokers won’t allow you to make big profits in the long run because they would become bankrupt. This is true as long as your profit has to come from the loss of other clients and maybe money from the broker itself. As I mentioned previously, it’s a closed system and the profits don’t come from the official financial markets. In Forex for example if you choose a STP/ECN-broker, not a market-maker than your interests and the brokers interests are the same if you make profits than the broker make profits. If I’m wrong well I hope to hear it from you so that I can change my opinion and make good profits with binary options. Shocking news right? Well, let’s get a few facts straight. An STP or a Straight Through Processing broker will route some or all of the orders (contracts) directly to the market based on market rates and make his profits based on the margins. An ECN or an Electronic Communications Network allows you to see the actual prices displayed and the order according to the market rate. You trade with other traders and/or financial institutions but not against your broker. Despite everything that has been said and done here, I know some of you are still looking for various systems that will make you money. Believe it or not a few exist, but they are usually reserved for what I call “friends and family” because if everyone has access to it the brokers will go bankrupt. Share your thoughts, please leave a reply below.